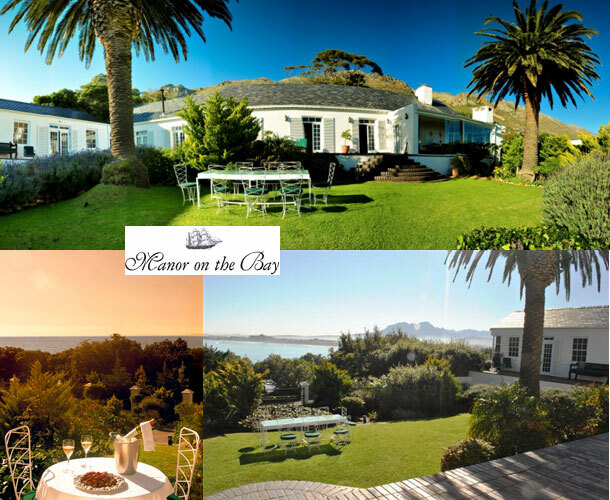 Manor on the Bay is a 1862 Manor house situated on the sandy white beaches of peaceful Gordon’s Bay, South Africa. It’s close proximity to Cape Town, the Winelands and over 12 golf courses provides an excellent base from where these truly unique Cape Town’s attractions can be experienced. 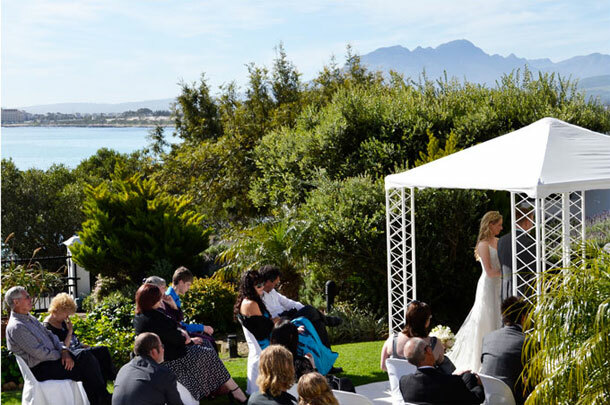 Manor on the Bay is the ideal venue for your small exclusive wedding. We cater for groups of up to 28 people for a sit-down meal and up to 60 for a cocktail party. The landscaped garden and nearby beach make this venue the ideal setting for a memorable day and beautiful pictures. Pure Salon provides a wide treatment menu for the bridal party before and on the special day. The owners, Schalk and Hanél van Reenen invite you to come and experience South African hospitality and enjoy their beautiful manor. To book your special day at this intimate venue telephone Hanél and Schalk on +27 (0)21 856-3260. If you would like further details or to send an enquiry visit Manor On The Bay.